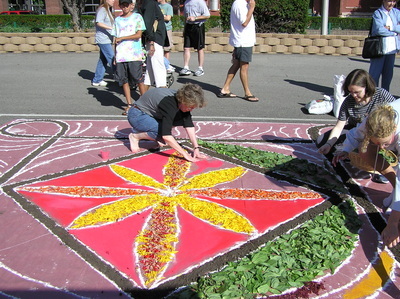 Community Blessings is based on the South Asian tradition of Rangoli drawing where a woman inaugurates the day by painting a pattern on the threshold of her home. In the course of the day friends and family walk over it and the ritual is repeated once more the next morning. 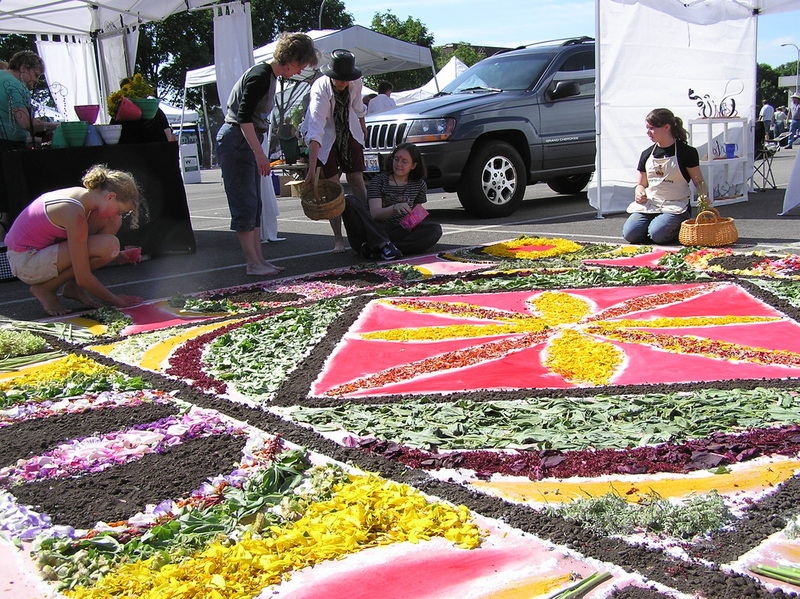 This ritual practice is centered around the protection and well being of one’s family. Handed down through time from mother to daughter, it fulfills the need of the individual to be part of a larger universal realm. 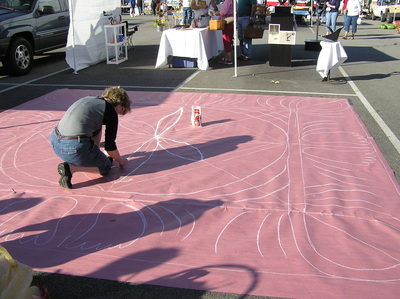 Drawing a rangoli pattern establishes a ritual relationship to the ground we walk on, making it sacred. With Community Blessings I have taken this family tradition and made it a communal one. 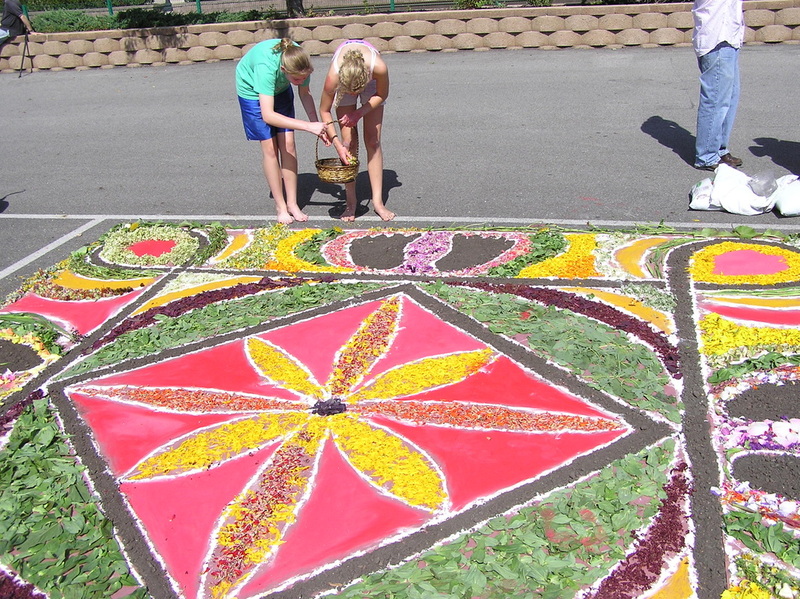 The community comes together to create a rangoli pattern made up of symbols that are relevant to them. Symbols chosen embody wishes for the protection and well being of the entire community, celebrate our place in the world, and demonstrate our hopes for peace on earth.